A revised plan to retain vehicle access on Victoria St has jumped its first hurdle, in spite of a petition pushing for the original plan to make the area car-free. On Tuesday, the Hagley-Ferrymead Community Board approved a watered-down version of the city council’s plan to transform the street into an “inner-city destination area”. However, a petition organised by climate change group, Generation Zero, calling for the original plan to be implemented, has gained more than 720 signatures. In May, the city council announced plans to transform the street as part of its Accessible City chapter of the Christchurch Central Recovery Plan to make it pedestrian friendly. 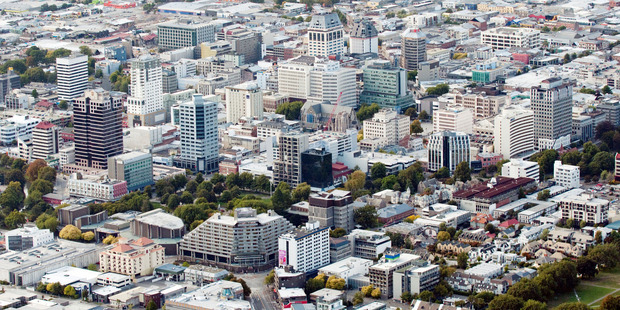 It involved closing the street to vehicles, with the exception of buses and bicycles, from Christchurch Casino to the clock tower, and removing 50 car parks. Shop owners in the area opposed the plan because they said it would kill their business. After public consultation, the city council proposed the watered-down version, which would see vehicle access retained, and only 31 car parks removed. The plan is scheduled to be discussed at the Infrastructure, Transport and Environment Committee meeting next Thursday. It would then make a recommendation to the city council. Generation Zero representatives would speak at the committee meeting and present their petition. Hagley-Ferrymead Community Board chairwoman Sara Templeton said the board had a “long, robust” discussion before recommending the new plan. However, she said there were concerns the opportunity to make a pedestrian-friendly street could be lost.